I wonder if Angel was intended as a joke? But it looks like they are back to the basic for good ol’ rock music! Ottawa-based rock and rollers New Swears have debuted a ‘double-hitter’ from their upcoming album Night Mirror out June 13, 2019 on Dine Alone Records. Self-produced, New Swears’ fourth full-length LP, Night Mirror, could be considered a bit of a departure from their critically acclaimed 2017 Dine Alone release And the Magic of Horses but that shouldn’t surprise anyone who follows them. One thing that has been consistent since the band’s debut is their unpredictability. While holding true to their DIY ethic and punk roots, they continue to diversify their sound as they seamlessly venture into campfire-style country ‘feels’, showcasing killer vocal harmonies, and introducing pedal steel and harmonica to the mix. The upcoming album features some of the band’s most finely crafted songs, exploring topics of inner-reflection and ushering in a 5th band member on keys/piano. Have a listen to both songs! 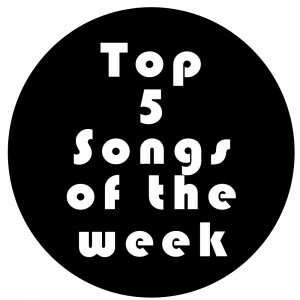 Here is the Top 5 Songs of the week. This week at #1 is a debut from Kaytranada and VanJess. Dysfunctional is a collaboration with Nigerian-American R&B sister duo VanJess, the track sees Kaytra spotlighting his fondness for house music. No new debuts this week. Totally forgot to post March’s playlist. Listen to the tracks that came out in that month. This week at #1 plus retiring after 5 weeks in the Top 5 is Rich Aucoin. New debut from Language Arts and Scattered Clouds. This week at #1 for the fifth and final week plus retiring after 5 weeks is Carly Rae Jepsen. Finally the long awaited album Dedicated drops on May 17, 2019. New debut from New Swears.